The old way of hiding your Cutting Boards is over! These Glass Cutting Boards are too nice to hide away. The new Glass Cutting Boards are made to become an integral part of your kitchen. 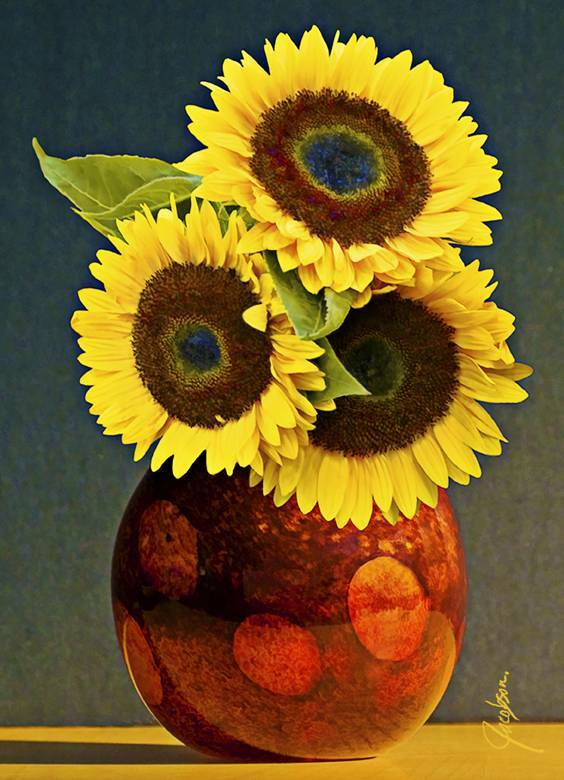 The ” Sunflower in Vase “ glass cutting boards will surely add style to the decor of your kitchen. Leave your cutting board out on your counter top. 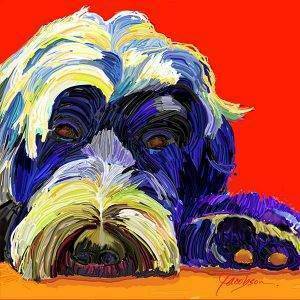 You now have a work of art in your kitchen. Get ready for entertaining with serving trays that are decorative home decor. Use these glass cutting boards as serving trays or cheese boards or counter protectors. “Sunflower in Vase” Serving Trays – They are more than kitchen decor, they are conversation pieces. Take out your Gift List…ORDER one of these styles. The Perfect Gift! Bring home the chic feel of fine art with this Serving Tray. 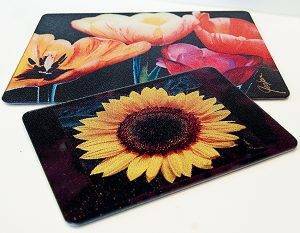 Inkjet sublimation is the process used to decorate the cutting boards/serving trays. Epson Inkjet printers and sublimation inks print the transfers.Tile Master™ heat press is used to sublimate the glass trays with unique artwork by Jackie Jacobson. The one absolute requirement of this process is that the trays must have a polymer coating on them. When a tray is decorated using the sublimation process the image is transferred into the polymer coating and actually becomes a part of it. The tempered glass trays are printed in the Jackie Jacobson Studios in the Palm Springs area. Watch this video for a tour of the tile art production.